Thirty or forty years ago, the phrase “method and theory” in Religious Studies scholarship referred to more social scientific approaches to the study of religion, as opposed to the more traditional theological hermeneutics common to the field. Today, however, it seems that everyone claims to do “theory and method,” including those people who shun social scientific approaches the academic study of religion. 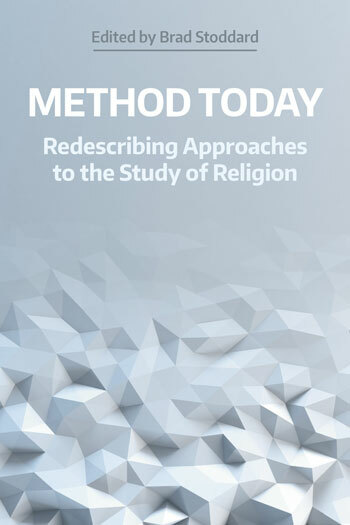 Method Today brings together the contributions of scholars from a recent North American Association for the Study of Religion conference to explore the question of what it means to do “theory and method” in an era where the phrase has no distinct meaning. Contributors specifically address the categories of description, interpretation, comparison, and explanation in Religious Studies scholarship. The Introduction summarizes the history of the concept of “method” in the academic study of religion paying particular attention to the field’s founders and the North American Association for the Study of Religion. This chapter surveys comparison, one of the foremost methods employed in the academic study of religion since its inception. It provides a historical overview, critique, and suggestions for what a more sophisticated comparison might look like in the future. It does this by paying attention to the messiness of social interaction as opposed to essentialized and discrete religious traditions. This response expands on the three concluding features Dr. Hughes recommends as central to the modern comparative enterprise, arguing for attention to “presentism” in investigations of the past, to translation in work with original sources, and to the history of contemporary theory in efforts to avoid the essentializing, objectifying, and ahistorical errors of previous research. This response uses debates within comparative religious ethics to elucidate the institutional elements of comparative scholarship. Utilizing Karl Marx’s distinction between abstract and concrete labor, I argue for a more explicit differentiation between comparison as a methodology and comparison as a discipline or formal field of study. This chapter examines the often suppressed conceptual frameworks that normalize “religions” as privileged units of comparison in the study of religion. Starting from Aaron Hughes’s essay, this chapter highlights how the category of “empire” operates as such a framework, and argues that problematizing this framework (and other such frameworks) raises interesting questions about the historical conditions and specific motives that transform fluid social practices into discrete comparative units. Stacie Swain is a Master’s student in Religious Studies at the University of Ottawa, Canada. She is interested in theory and method within and across disciplines and areas of study. Her current research examines the politics of the category of ‘religion’ in reference to Indigenous peoples. The author begins by addressing the conceptualization of “comparison” as an object of study and focus for dialogue. Contemporary analysis known as “critical religion” points theory and method in productive, provocative directions. Nevertheless, outdated habits linger in discourses about religion. This essay supports recent deconstructive approaches by employing examples from both popular culture and scholarship to argue that more accurate, specific language ought be used whenever “religion” is cited. In this response, I argue the academic study of religion ought to limit itself to investigations of how the term ‘religion’ is deployed by social actors with varied agendas as a means of reifying a presumed distinction between apparently separate religious and secular spheres. I conclude by suggesting that religious studies scholars should reconsider not only the ways we describe ‘religion’, but also the audience to which these descriptions are directed. This paper argues that the practice of description is frequently understood as definition, which is too often precisely prescription. It contends that reduction to necessary and sufficient features is alien to the natural development and use of conceptual categories like religion, and so an alternative approach to description is recommended. In “Description, Prescription, and the Category of ‘Religion,'” Emily Crews offers a response to Naomi Goldenberg’s “Toward a Pushier Critique of ‘Religion’ and Attendant Categories.” After a summary of Goldenberg’s argument, she focuses on three primary issues raised by the article: the imbrication of governments and the category of ‘religion,’ the relationship between categories and essences, and the generative tensions between the descriptive and prescriptive methods. She ultimately argues that Goldenberg’s efforts might be a persuasive roadmap for projects in Religious Studies that productively intertwine the normative and the scholarly. Goldenberg’s “pushier critique” rightly places an emphasis on the importance of ‘governance’ for understanding the category ‘religion’ in various historical and geographical locations. It is not clear, however, that “institutions of government” play a major role in constructing and maintaining ‘religion,’ or that either “vestigial states” or ‘violence’ are as central for theorizing ‘religion’ as has been suggested. Egil Asprem is a postdoctoral scholar at the Department of Religious Studies, University of California Santa Barbara. This chapter argues that explanation is a necessary, but under-examined, aspect of theories of religion. The authors argue that historical impediments to explanation in our discipline can be overcome if we shift our view from “religion” in the abstract to concrete human behaviors in interaction. Drawing on contemporary discussions in the philosophy of science, they submit that a new mechanistic approach that integrates meanings, values, and intentional actions as causal factors in nested, multi-level mechanisms holds great promise for explaining the complex phenomena associated with “religion”. Taking the Citizens for Constitutional Freedom’s 2016 seizure of Oregon’s Malheur Wildlife Refuge as a case study, this essay argues against methodological approaches that reduce complex human circumstances to align with master narratives as well as those which reify religion as a distinct—and too often privileged—field of human thought and action. Joel Harrison is a doctoral candidate in the Department of Religious Studies at Northwestern University. His work focuses on the intersection between social theory, theology, and philosophy of religion at the turn of the twentieth century in Germany and questions of theory and method in religious studies. This chapter argues that Taves and Asprem do not attend to the conceptual differences between explanatory accounts in the human sciences and those of the natural sciences. Instead, their theory reduces all phenomena, ideational or material, to a natural scientific material account of cause and effect, limiting the theory’s analytical power. Explanation of religion or as religion? This chapter posits that as cognitively shaped eusocial beings, humans need reasons to act in the world (explanations we have embraced), individually and collectively. Accepted explanations must encompass all phases and exigencies of life in whatever material, historical circumstance the individual and group are ‘thrown’. This paper summarizes the strengths and weaknesses of Ann Taves’s and Egil Asprem’s essay. Kevin Schilbrack is Professor and Chair of Religious Studies at the Appalachian State University, USA. He previously taught at Florida International University, Wesleyan College, and Western Carolina University. He is the author of Philosophy and the Study of Religions: A Manifesto (Wiley-Blackwell, 2014) and of various articles on philosophy and the study of religion. He is the editor of Thinking Through Rituals: Philosophical Perspectives (Routledge, 2004), Thinking Through Myths: Philosophical Perspectives (Routledge, 2002), and The Wiley-Blackwell Companion to Religious Diversity (Wiley-Blackwell, 2017). My goal in this chapter is to clarify and defend the interpretive approach in the academic study of religion, and I do this by asking and answering three questions that have been contentious in the debates about interpretation: (1) Can one understand human behavior independent of the action’s meaning? (2)Does interpretation require access to people’s mental states? (3) Does interpretation preclude causal explanation? 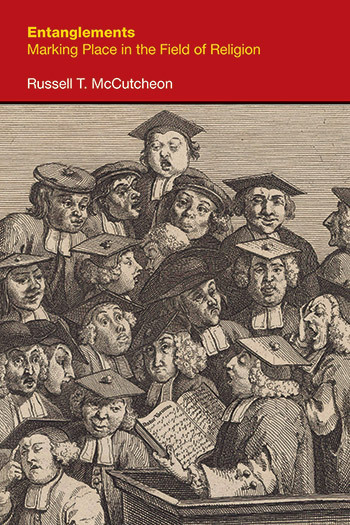 This chapter looks at Epicurean physics and ethics, nineteenth German Romanticism, and contemporary problems in criminal justice, to reflect on questions about interpretation, as raised by Kevin Shilbrack. I argue that interpretation is useful precisely where it overlaps with explanation. Steven Engler is Professor of Religious Studies at Mount Royal University in Calgary, Canada. He teaches a variety of courses and research popular Catholicism, Umbanda, Kardecist Spiritism and related spirit-incorporation religions in Brazil, as well as theories and methodology in the study of religion\s. There is an ambiguity in Schilbrack’s discussion: should intentions and bodily movements be analyzed as separable components of actions or as parts of a unified whole? We point to problems with the former view and ask whether the latter is more useful. In this essay, I argue that answering “no” to Kevin Schilbrack’s second question—“Does interpretation require access to people’s mental states?”—should not lead scholars to overlook the importance of subjectivity in a hermeneutic approach to religious studies. Drawing on the thought of Martin Heidegger, I contend that giving an account of subjectivity is necessary for understanding the dynamic ways in which norms operate within human communities and for articulating the grounds of scholarly critique. In this paper, I examine Schilbrack’s self-proclaimed goal of building bridges between philosophy, social science, and the study of religions as a valuable aim, though one that needs to pay closer attention to the question of priority—that is, starting from the particular methodological and theoretical interests of variously situated scholars in order to better appeal to their interests and thus make a stronger case for what a revised philosophy of religion has to offer religious studies. The Afterword attempts to situate the discussions in the volume within a broader context in two ways. While acknowledging the valuable contributions which the discussions make, it uses a specific example to point out some practical limits in their application. It also seeks to draw connections between these discussions and other discussions, using indigenous research methodologies as its example. Thirty or forty years ago, the phrase “method and theory” in Religious Studies scholarship referred to more social scientific approaches to the study of religion, as opposed to the more traditional theological hermeneutics common to the field. Today, however, it seems that everyone claims to do “theory and method,” including those people who shun social scientific approaches the academic study of religion. Method Today brings together the contributions of scholars from a recent North American Association for the Study of Religion conference to explore the question of what it means to do “theory and method” in an era where the phrase has no distinct meaning. Contributors specifically address the categories of description, interpretation, comparison, and explanation in Religious Studies scholarship.